The Donnelly Group is Northern Ireland’s largest independent car retailer, with a reputation spanning back decades. The company has good coverage with eight dealers across cities and towns such as Belfast, Enniskillen, Newtownabbey, Omagh, Dungannon and Eglinton. Customers will find a variety of new and used cars for sale at Donnelly Group dealerships from a wide range of popular brands. You’ll find new models from Alfa Romeo, Peugeot, Volkswagen and Toyota, and nearly new vehicles from the likes of Audi, Nissan, and Honda. Donnelly Group also provides customers with an extensive range of new and used vans, from the likes of Toyota and Renault. Donnelly Group dealerships offer customers a wide choice of new and used cars from a variety of popular brands. Drivers looking to find the latest models by Abarth, Peugeot, Volkswagen, Citroen and Honda (to name but a few) won’t be disappointed. Their dealers have a great library of used cars too, providing consumers with a variety of hatchbacks, saloons, estates and coupes. 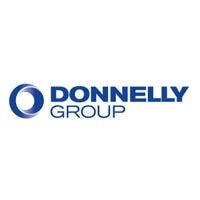 When buying from the Donnelly Group, you can also expect a range of other services. This includes vehicle aftercare, car finance, MOTs, servicing and business leasing. Above all, expect a high level of expertise from a company with an ethos of ‘keeping the customer central to everything we do’.